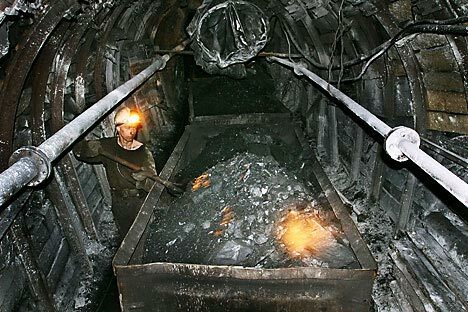 Russia and India have set up a joint venture to supply more Russian coal to India. Russia’s leading metals and mining company Mechel and India’s Somani Group have set up a joint venture to supply more Russian coal to India, Mechel has announced. Mechel Carbon AG, a subsidiary of Mechel's mining division Mechel Mining JSC, and Northern Exim Private Limited, part of the Somani Group, have set up a joint venture, Mechel Somani Carbon Private Limited, India. Mechel Carbon AG has taken a 51% stake in the new venture. The project’s distribution area will be located on India’s east coast, 20 kilometres from India’s major port of Vizag, in an industrially developed region. Further distribution areas are planned over the next few years, which is expected to boost overall sales volumes. “We have been selling our coal to Indian consumers for several years now and we see India as a quite promising and strategically important market. So far, we have been selling our products to big companies only. By setting up this joint venture, we are expanding our presence on the Indian market owing to the large number of consumers ready to buy smaller-sized shipments of our products”, explained Mikhail Urvantsev, Mechel Vice President for Commercial Activities.